A total of 208 persons attended the function (93 male, 71 female and 44 children). This is record breaking attendance. SAEEA never had this much of response in the past. The main reasons of increasing the attendance; was rearranging the program; the main: (1) Free Eid Gifts to all Children. (2) Separate Lucky Draws for Ladies and Gents (3) Around 150 free games within the Resort (4) Very huge open area within the resort for picnic (5) School break of all children (5) delicious food and (6) THE BEAUTIFUL RAINY WEATHER, etc. It was SAEEA third Picnic. All attendees met with their old buddies and enjoyed the event. SAEEA new Ladies Rep Mrs. Samina Ovais’ first performance as a Ladies Rep. SAEEA is lucky to have Mrs. Samina as Ladies Rep. Her behavior would definitely improve lien in between all ladies and children. Function Secretary, Syed Shahid Ali started the event with the recitation from the Holy Qur’an by Engr. Iqbal Ahmed Khan. In his speech, Kamal A. Farooqui, President, updated the attendees the activities of SAEEA. Kamal Farooqui stated in his speech that this reunion function is in a very big Resort with several playing facilities for Children and others. Therefore, he squeezed his and others speeches and requested attendees to enjoy more with Resort facilities. Besides other Friends, one of SAEEA pillars, Ateequrrahman passed away four months ago. After Ateequrrahman sudden death, Kamal, with his Team visited his Son, Tariq Ateeq, who immediately became SAEEA regular Member. Tariq promised to be with SAEEA for any future assistance. Accordingly, Tariq, with his Family, attended the Reunion and will try to be available for SAEEA future programs. Kamal thanked SAEEA Event Organizer, Arif Qamar and his Family for arranging a wonderful program in the Resort. Kamal apprise the attendees that as a result of increased prices in the market it is difficult for SAEEA to arrange three functions in one year. This year we could arrange only two gatherings. Now, during current period we will also arrange two, except if the Friends wish to have three. In that case all Members will have to bear the expenses evenly. Five and Five Gifts distributed among Ladies and Gents respectively. Gifts were distributed to all available Children. 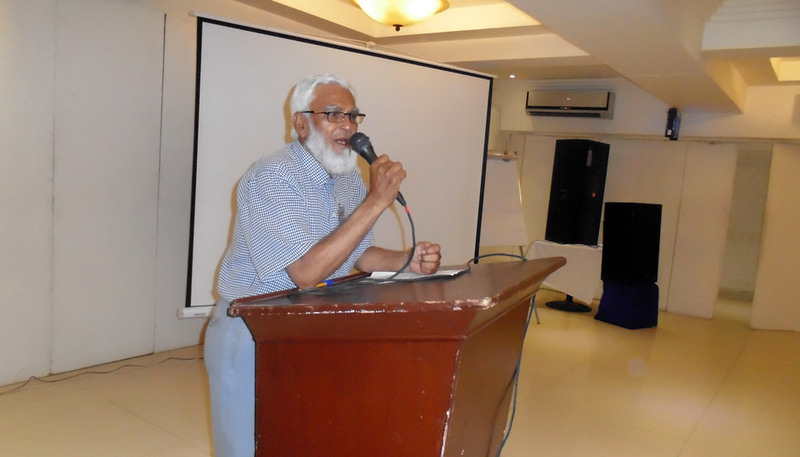 Kamal Farooqui, President of SAEEA thanked all participants and requested them to be more active and close with SAEEA. Kamal thanked all Friends for their hands in making the seventeenth reunion a SUCCESS. Special thanks to Atauddin Qureshi, Isra Qamar for helping SAEEA’s Finance Secretary in preparation of his accounts. Kamal also thanked Resort Management for providing very delicious food and good services during the stay. The program concluded at 4:00 PM after getting several group and individual photographs.